For the team’s players, the game should have been a victory, and they are angry about conceding three goals. Borussia Dortmund had a 3-0 advantage up to the 75th minute against Hoffenheim today in the German Bundesliga. But a quick reaction by Hoffenheim, game them one point after drawing 3-3 in today’s match. “It’s very, very annoying. I think we started the game well, totally dominating the opening half and didn’t allow a single chance on goal,” midfielder Julian Weigl told the club’s official website. “However, we still didn’t play with enough freedom, hardly enjoyed any possession and only used the long ball,” he commented. 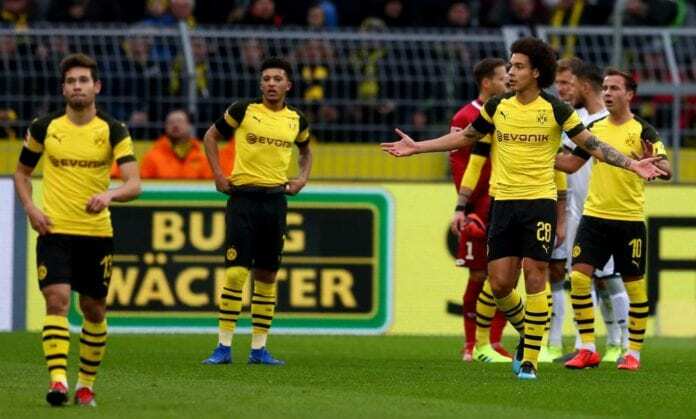 “We played very well for long spells, we’re leading 3-0 and have the chance to make it 4-0 – that has to be enough at home even against a very good team like Hoffenheim,” Mario Götze continued. “It actually was going well until we started making mistakes. It’s difficult to explain and it feels like a defeat. We have to improve and hang in there,” Raphael Guerreiro concluded.